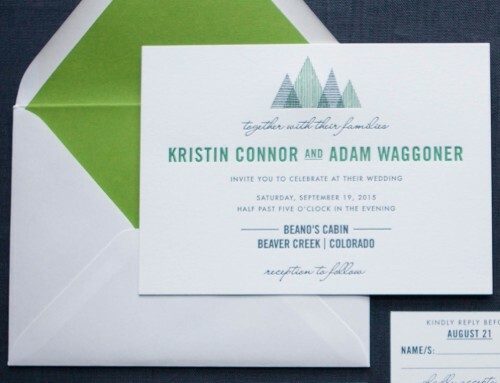 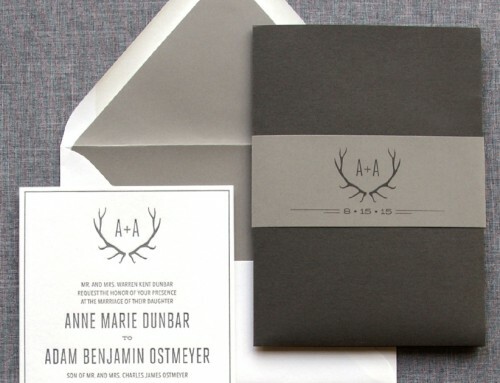 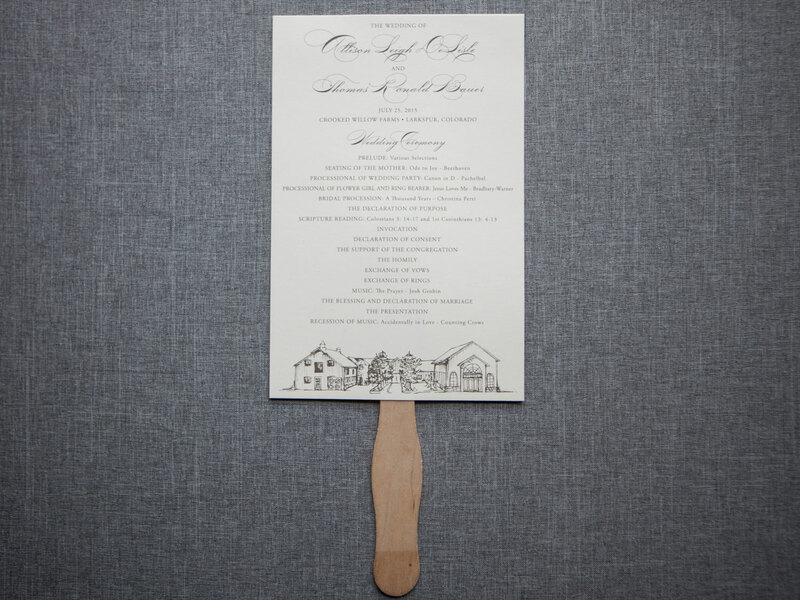 You can’t go wrong with classic mountain chic for a Crooked Willow Farms invitation! 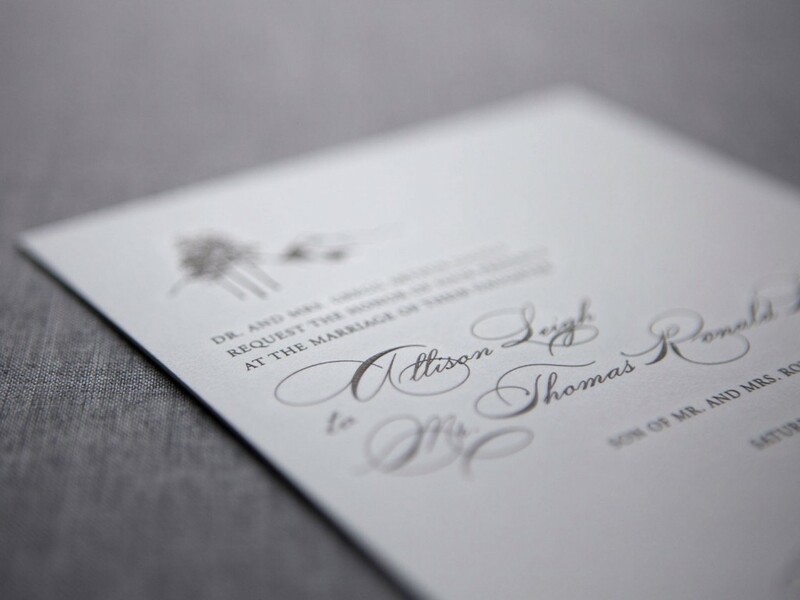 Allison and Thomas’ invitation “raised” the bar by having their invitation engraved (did you get the raised joke – ha!). 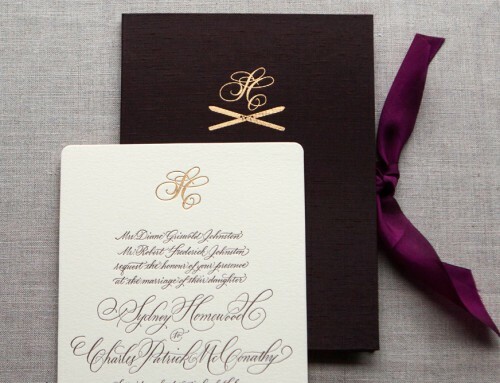 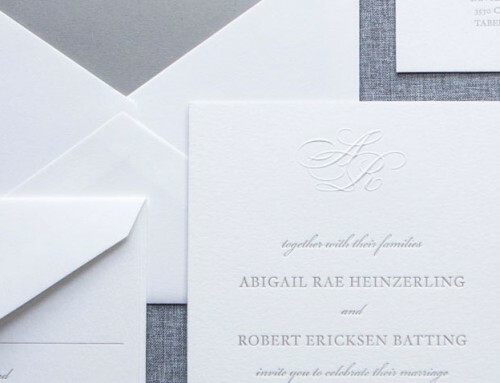 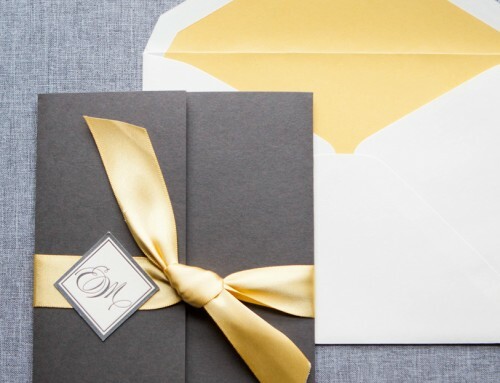 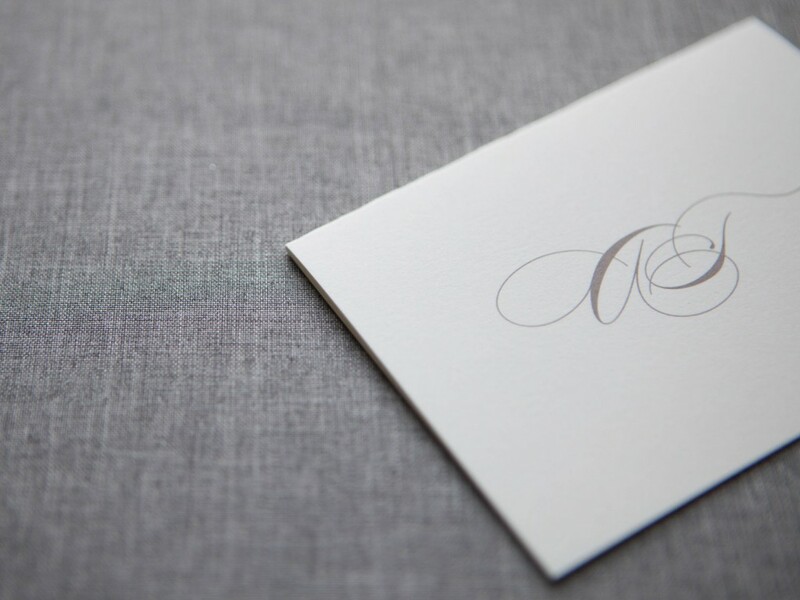 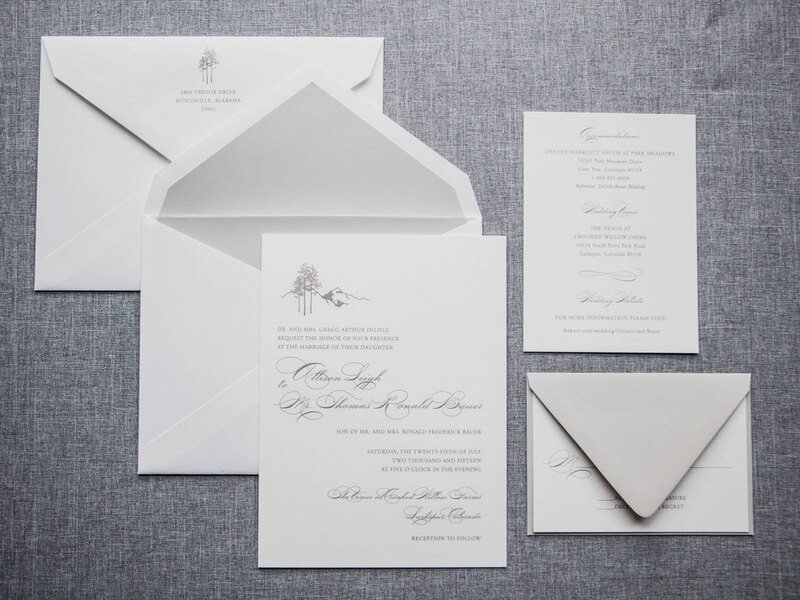 All kidding aside – this invitation is a favorite with its asymmetrical layout, aspen trees and mountain graphics, and a classic monogram to finish the suite!